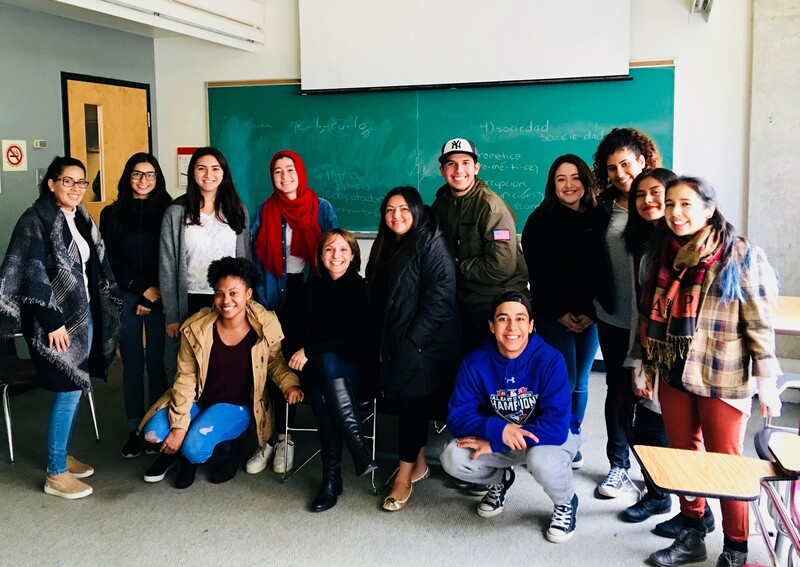 Spanish for Native Speakers (AP/SP2010) is a well-rounded, academic course that focuses on Spanish linguistics, Ibero-American literature, cinema, history and politics. Students enrolled in this course are 1st, 1.5, and 2nd generation heritage speakers of Spanish and Latin American descent. Many have learned Spanish through family members and are enrolled in this course to expand their understanding of the language at the academic level. Aside from amplifying their knowledge of grammar, reading and writing, this course touches upon past and present socio-political and economic events that influence Spanish-speaking countries and, by extension, members of Canadian-Hispanic and American-Hispanic communities. Students enrolled in the 2017-2018 iteration of SP2010 have strong personal and cultural connections to Argentina, Colombia, Cuba, Ecuador, Mexico, and Nicaragua. Apart from the Spanish language, their areas of interest include Business and Communication, Cinematography, Fine Arts, French, International Development, Law, Migration, Music, Pedagogy, Political Sciences, Psychology, Religious Studies and Sociology.